A new year gives us each the chance to wipe the slate clean, start afresh, and make exciting plans for the forthcoming twelve months. One of our favourite parts though is hanging up a new calendar, allowing ourselves 365(or 366 on occasion) days of adventures to get lost in. Now, not that we wouldn’t be happy with a One Direction Calendar (Staring at those boys for a whole year on my wall) we fear that I must adapt a somewhat adult approach to calendars this year. Yet there are so many beautiful designs out there! 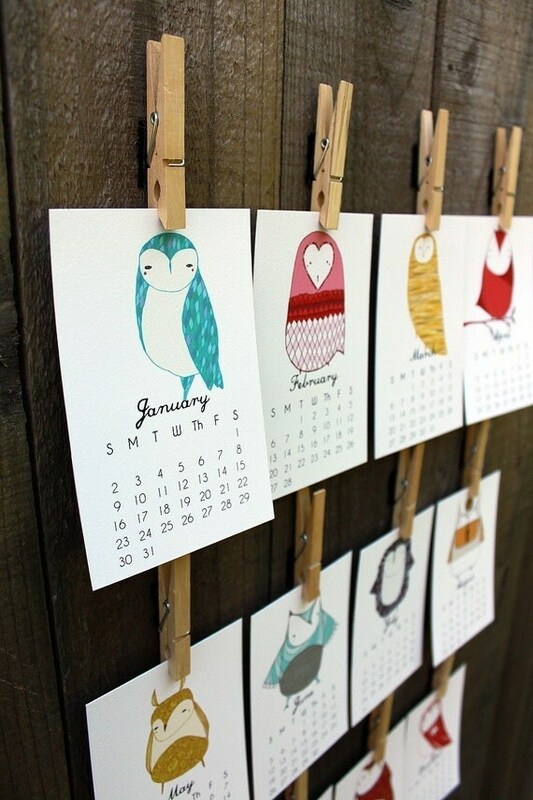 The Illustrated Owl calendar by Stacie Bloomfield, is delicate and beautiful, and can allow you to dedicate a whole wall to your dreams for the year. 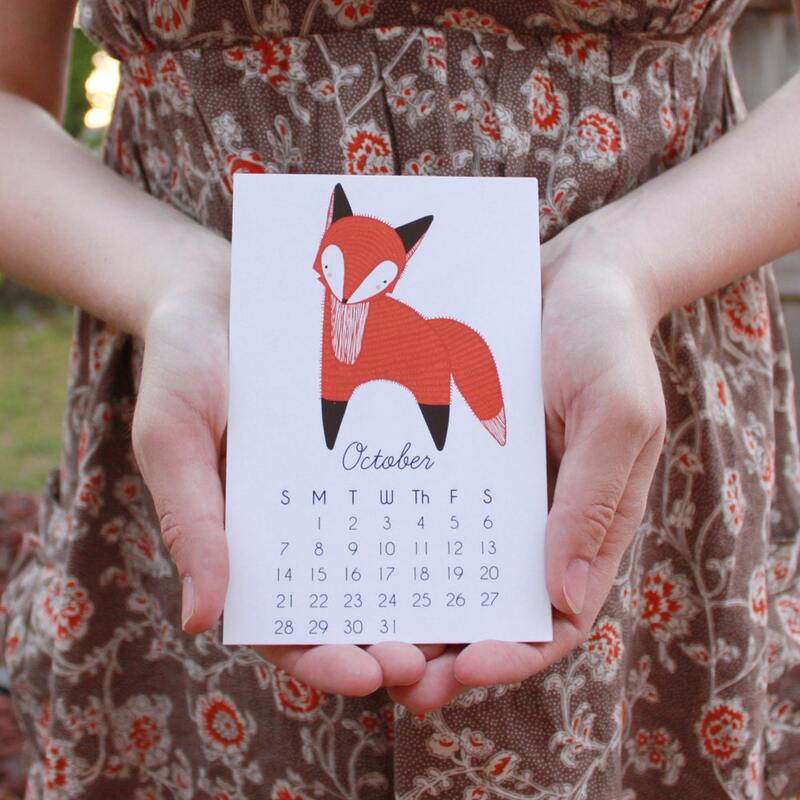 If you have a boring desk in which you want brighten up and count down the days until that festival/ holiday/ weekend, then we found this perfectly miniature, but none the less pleasing on the eye calendar. 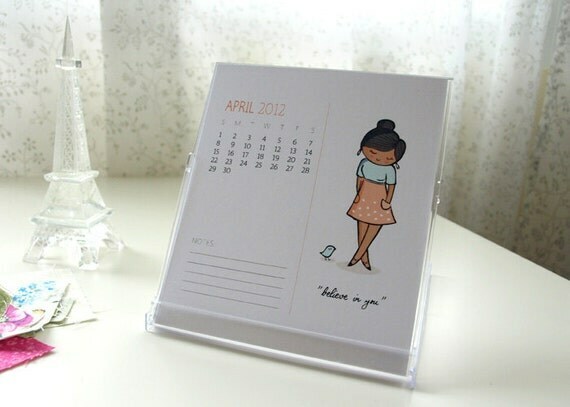 Every month there is a cute illustration, alongside some inspirational words. 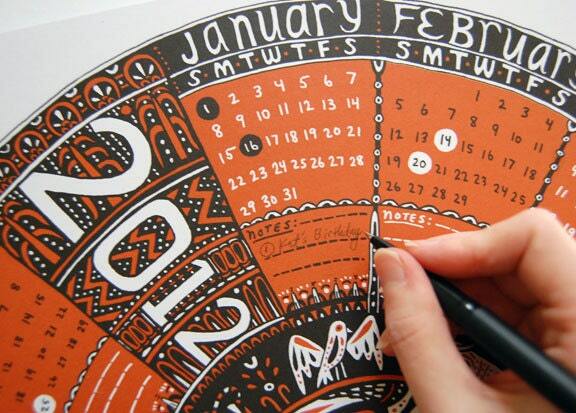 We love this Circular Calendar design by Caitlin Keegan, from Brooklyn. The design is inspired by Greek mythology, and will definitely take pride of place upon any wall it is hung. Lovely. We're also hoping we can get our hands on this sold out one by the uber talented Rob Ryan... sigh. 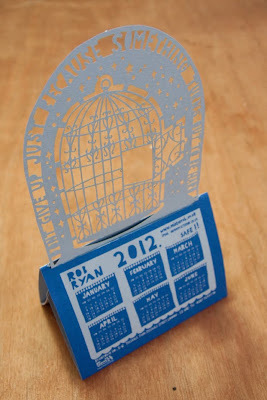 What calendars have you opted for... or perhaps some of these have taken your fancy. Let us know!